The park and museum are named after George Morikami, a native of Miyazu, Japan, who donated his farm to Palm Beach County to be used as a park. George Morikami was the only member of the Yamato Colony, Florida to stay in Delray Beach after World War II. He originally proposed donating the land to the City of Delray Beach which declined. The Museum was opened in 1977, in a building that is now named the Yamato-kan. The principal museum building opened in 1993. Construction of the Roji-en gardens began in 1993. 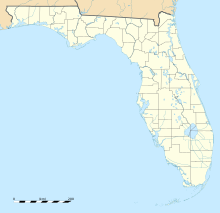 The Morikami Park, which includes the museum, is 188.5 acres (76.3 ha). There is one picnic pavilion and six smaller picnic shelters and a playground. It is the location of the Challenger Astronaut Memorial and the Yamato Pioneer Memorial. The Morikami Museum and Gardens host a number of Japanese-influenced festivals each year, including Oshogatsu (New Year's) in January, Hatsume Fair Festival in April, and Lantern Festival, (based on the Japanese Obon festival) in October. The original museum building, Yamato-kan, is designed as a Japanese villa. It features a dry landscape garden and a permanent exhibit on the history of the Yamato Colony in Boca Raton, and a hands-on exhibit, "Japan Through the Eyes of a Child". The main museum building houses three exhibits, a 225 seat theater, a tea house, classrooms, a research library, a store, and the Cornell Cafe. There are more than 7,000 artifacts that make up Morikami's collection. The Roji-en Japanese Gardens were designed to complement the museum. The six gardens making up Roji-en are inspired by famous garden styles throughout Japan's history. They were designed by Hoichi Kurisu and completed in 2001. The six historical gardens are as follows: Shinden Garden, Paradise Garden, Early Rock Garden, Karesansui Garden, Hiraniwa Garden, and Modern Romantic Garden. The Shinden Garden is inspired by the gardens of the Heian period of the 9th–12th centuries. During this time Japanese nobility used Chinese garden designs that featured lakes and islands; this style of garden was usually viewed by boat. The Paradise Garden comes from the Kamakura and Muromachi periods. The gardens were designed as temples to the Buddha and represented Buddhist Heaven. The Early Rock Garden is also from the Muromachi period. This style of gardens was influenced by Chinese landscape art and the early concept of Zen. The Muromachi period Karesansui gardens are in true Zen style. These gardens were designed not to be walked through, but instead to be viewed from temples and reflected on. The "dry landscape" styles was almost empty of plants, instead having rocks and gravel. The Edo period was known for the Hiraniwa Flat Garden style. These gardens were hybrids of the late rock garden and tea garden. This garden style is known for its accents, such as pagodas, lanterns, and stepping stones. The last historical garden featured at Morikami is the Modern Romantic Garden. This garden originated during the Meiji period. Naturalism and Western influences were what spurred the creation of this garden style. ^ a b c d e "Morikami Park". discover.pbcgov.org. Palm Beach County, FL. Retrieved 14 December 2014. ^ a b c Swick, Thomas (May 2011). "Florida's lush Japanese gardens". Smithsonian Magazine. Retrieved 14 December 2017. ^ a b c Brotemarkle, Ben (19 August 2014). "A touch of Asia in south Florida". Florida Frontiers. Florida Today. p. 11A. Retrieved 14 December 2017 – via myfloridahistory.org. ^ "Museum". morikami.org. Morikami Museum and Japanese Gardens. ^ "Historical Gardens: About the Historical Gardens". morikami.org. Morikami Museum and Japanese Gardens. Gregerson, Tom. "Yamoto Colony". www.bocahistory.org. Boca Raton Historical Society and Museum. Wikimedia Commons has media related to Morikami Museum. This page was last edited on 20 January 2019, at 14:18 (UTC).